Me too. Why can't we flog a dead APOD critic, or flog a dead pseudoscientist? What did the poor horse ever do to anybody here? they forgot to install a compass in this ship ? Why can't we flog a dead APOD critic, or flog a dead pseudoscientist? I like the flies around the nostrils. That's realistic. Flies are particularly fond of nostrils, particularly ones that aren't breathing. They lay their eggs inside the nostrils and not only does that provide cover from predators but there are lots of tunnels through the skull to all sorts of meaty goodness. Brain tissue is quite hearty, I believe. I would love a hires version for my desltop. I love the picture and have always been fascinated with the shuttle. I remeber watching the first launch in school and last summer I watched the final launch at work. There were highs and lows, but it is a remarkable acheivment. I love the old school lego shuttle too. 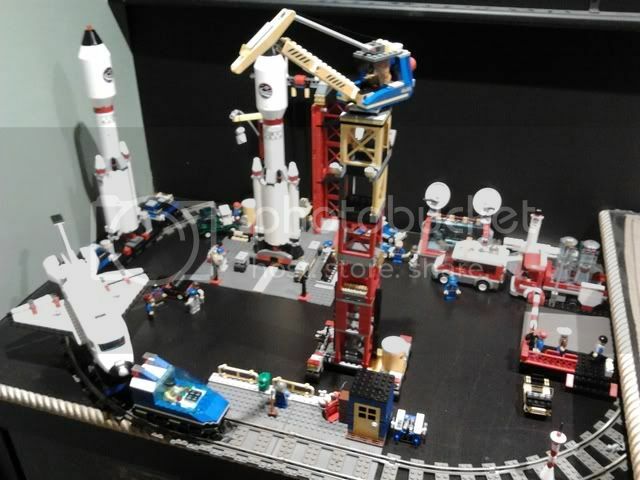 I have my own lego NASA on display that I fiddle with almost every day. When I played with Lego, I used to make amazing mobile-home-amphibious-spaceship things that could go anywhere.